Norman’s idea: Sarah’s duets with Oscar, Joe, Ray and Louie | Bob's Jazz Blog. In 1978 Norman Granz contracted Sarah Vaughan for his Pablo jazz label. He felt that this great singer did not get the chance enough to record material in line with her talent and skills. 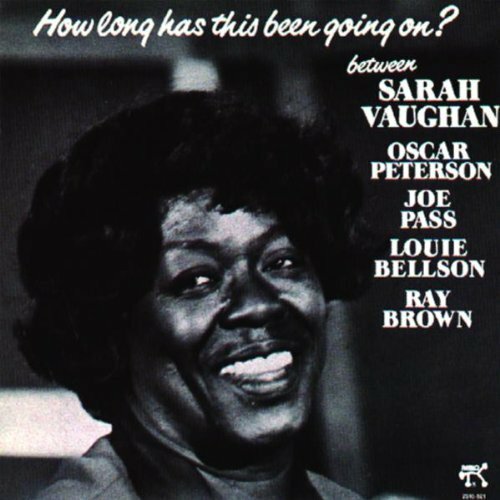 That year he released “How Long Has This been Going On” where she was accompanied by Granz’ veterans Oscar Peterson, Joe Pass, Ray Brown and Louie Bellson. Again Granz showed his great producer skills by suggesting that Sarah should sing duets with each of the quartet members: “More Than You Know” with Peterson, “My Old Flame” with Pass, “Body And Soul” with Brown and “When Your Lover Has Gone” with Bellson. Listen in below video’s to these four brilliant duets where the original compositions are “re-written” by Sarah and the musicians. Duet with Ray Brown “Body And Soul”. Duet with Louie Bellson “When Your Lover Has Gone”. « Goois Jazz Festival op 10 maart a.s.met Nederlandse Jazz en Swing !